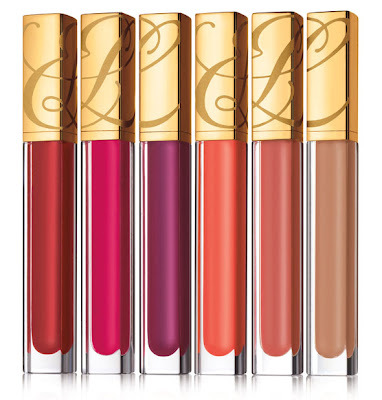 My next great giveaway is for the brand new Estee Lauder Pure Colour Lip Gloss. Created by Tom Pecheux, Creative Makeup Director for Estee Lauder, these glosses are drenched with conditioners, but feel luscious and light on the lips, not sticky. The glosses are available in 32 colours, and three different finishes: Shine for a glossy, ultra shiny finish, Shimmer for an intense pearlescent shimmer, and Sparkle for a glittery high shine. This giveaway is for the Passionfruit Shimmer, a medium pink-coral shade that would suit almost everyone. Gain entries by doing any (or all) of the following (please leave a comment for each one you do!). If you already do any of the below, make sure to leave a comment, since that counts too! PS: Don't forget to enter the CSNStores giveaway - click here - it ends on Tuesday!